So, if you don't know what an "undercut tattoo" is, it's where an intricate designed is etched in the back part of your hair. 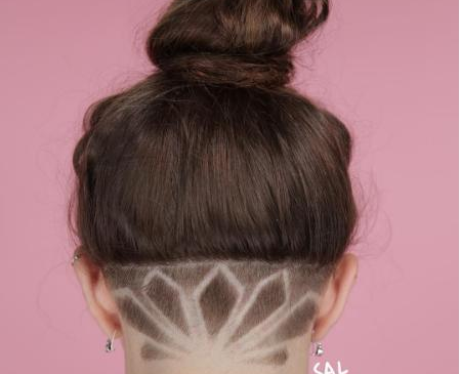 A simple undercut involves shaving the back. Purple hair quen, Emily also "did a thing" and it rocks. WANT WANT WANT. @wickedhairdesign absolutely crushed this auburn cut. *gets Adidas logo cut into hair* Get it, girl. How sick is this design? Go awf, girl.